Pioneer Works is a program partner, and home to Clocktower Radio's recording studio, as part of a year-long institutional residency. Pioneer Works is an institution dedicated to the synthesis, creation and discussion of art, science and education. 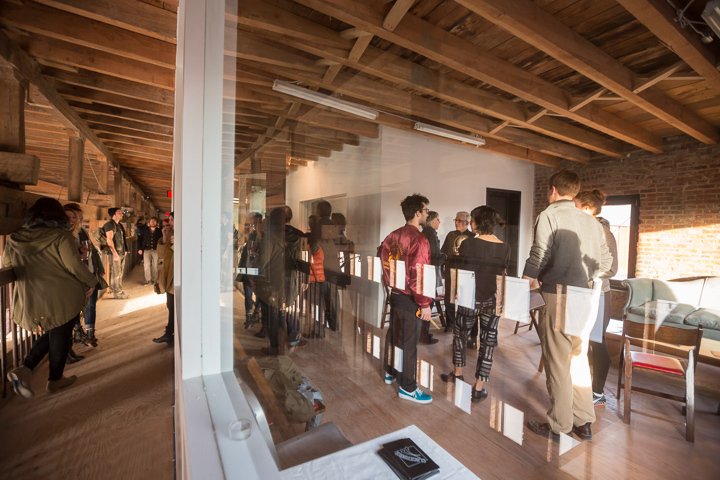 Located in the former Pioneer Ironworks in Red Hook, Brooklyn the center houses exhibitions, educational programming, art and science residencies as well as an imprint for a variety of publications. Our diverse programming is designed to support cultural innovators and engage our community in productive dialogues. Pioneer Works is a 501c3 not-for-profit organization. In order to nurture and support arts and culture, we need you! Make a charitable, tax-deductible donation through pioneerworks.org/give and help make Pioneer Works a social hub for the inception and dissemination of art and ideas. The main exhibition space and arts and science residencies are open to the public Wednesday through Friday from 11:00 – 6:00 pm and Saturday & Sunday from 12:00 – 6:00 pm. Tours are available upon request.